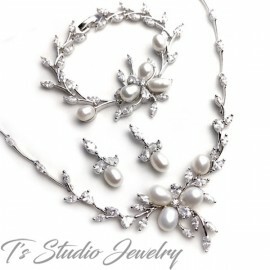 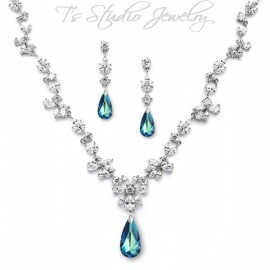 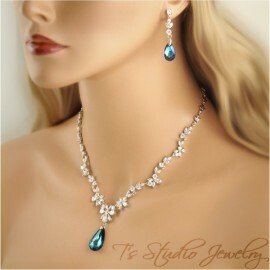 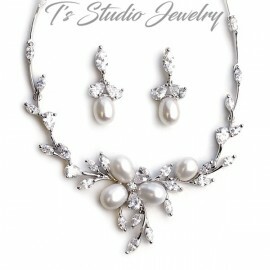 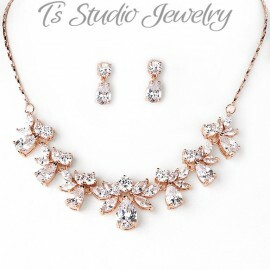 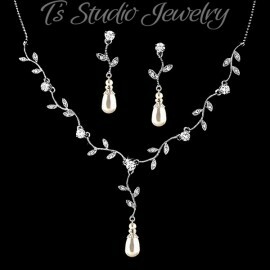 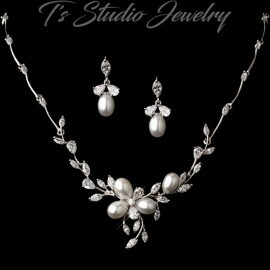 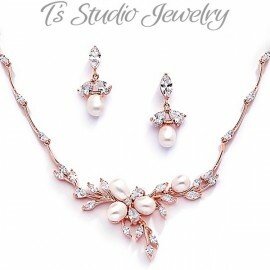 So sweet and delicate, this set is perfect for any wedding or special occasion. 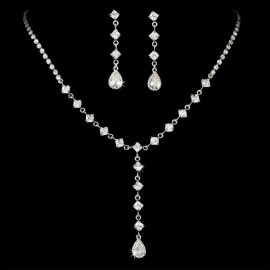 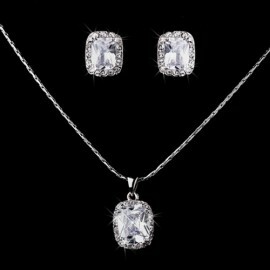 This elegant necklace and earring set features a lovely arrangement of cubic zirconias in various shapes and sizes on a gold plated base. 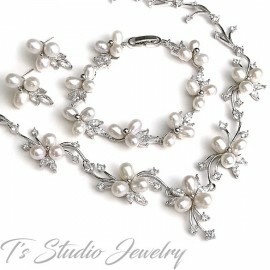 Necklace measures 15” with a 3" extender chain.